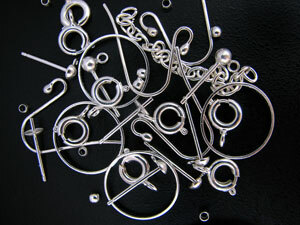 Fittings are the mechanical parts that enable jewelry to be worn by its wearers or attached to their clothing. 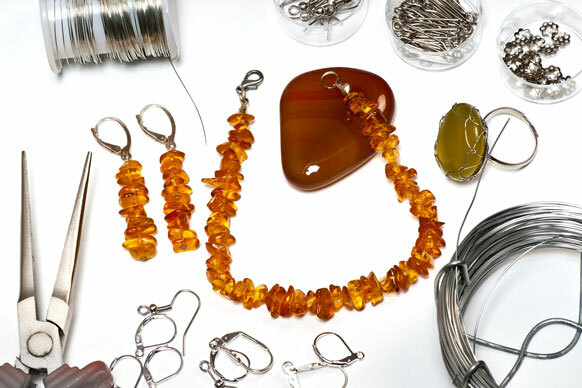 For example, fittings on earrings may include hooks, clips, or posts, while fittings on a necklace may include box catches, trigger clasps, end caps, and bolt rings. Cuff links may be designed to attach to clothing with chains, t-bars, or hinge fittings, while brooches may be fitted with hinges and catches, pin catches, or tube-in-tube attachments. While some fittings are basic and designed simply to do their job, many jewelers integrate fittings into the design. For example, the simple box clasp, though its concept is simple, can be beautifully designed to enhance the overall design with unique shapes and jewels. Some jewelers find creative ways to make the fitting the centerpiece of the design; for example, when a ring and bar fitting is designed as the central decoration and is worn in front. Those who don't want to make their own fittings can buy commercially assembled fittings. 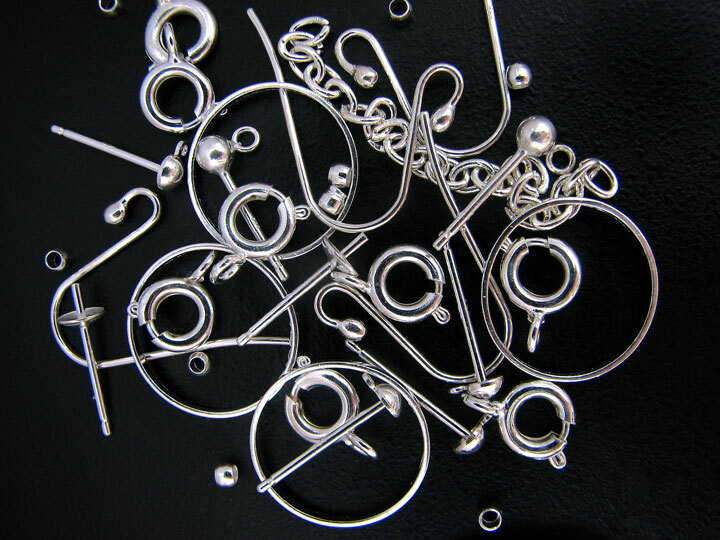 Technically known as "findings," these fittings come in all different types of materials, sizes, and designs to complement your handmade jewelry. Before committing to a fitting, make sure it does its job. In addition to integrating with your design, the fitting should make the piece of jewelry easy to wear, while displaying it in its best light.